Welcome to episode four of The Freelance Hunters! Today’s story is The Gold Equations! 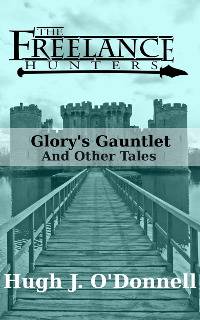 This story originally appeared on my blog as a thank-you to readers who reviewed the first mini-collection of The Freelance Hunters, Glory’s Gauntlet. Today’s promo is for Nutty Bites! <a rel=”license” href=”http://creativecommons.org/licenses/by-nc-sa/4.0/”><img alt=”Creative Commons License” style=”border-width:0″ src=”https://i.creativecommons.org/l/by-nc-sa/4.0/88×31.png&#8221; /></a><br />This work is licensed under a <a rel=”license” href=”http://creativecommons.org/licenses/by-nc-sa/4.0/”>Creative Commons Attribution-NonCommercial-ShareAlike 4.0 International License</a>. This entry was posted in Podcast and tagged Bingo, Glory, Joachim, Podcast, The Freelance Hunters, The Gold Equations, Treasure. Bookmark the permalink.